Audiology Programs offer a full range of diagnostic and audiology services to Sky to Sky children aged 0 to 19 years. “The early hearing program screens newborns hearing from 16 hours of age – 3 months of age. This is usually done while still in hospital, but can also be done at the health unit.” Referrals for hearing tests (free of charge) are accepted from a variety of sources, including family members, physicians, nurses, and care providers. The program provide funds to families with children who are eligible to access generic or community-based services to address behavioral issues. Breastfeeding is the feeding of choice. The next best thing to breast milk is a commercial infant formula. Most women are able to breastfeed provided they get the support they need, Breastfeeding has many benefits. Breastfed babies have fewer allergies and infections. Breastfeeding is easy once mom and baby learn how and takes less time then bottle feeding. Breastfeeding also costs less as you don’t have to buy commercial formulas and all the bottles with extras. Breast milk is easy for baby to digest, has exactly the right nutrition for baby, and adjusts to his/her changing needs. If you choose not to breastfeed and cannot afford commercial formula, do not give your baby regular cow’s or goat’s milk or soy drink during the first 9-12 months. Talk to your public health or community nurse or registered nutritionist about other options. Office hours change seasonal and may be subject to change from what is listed above. We boast one of the cleanest and most accessible pool facilities in the Corridor. It’s a perfect place to have fun, whether you’re with family and friends or just out for a personal fitness workout. Brennan Park Aquatics Centre offers swimming lessons, programs and special events for the whole family. This workshop focuses on helping couples who are experiencing the transition to parenthood by teaching skills to help them strengthen their bond, increase intimacy and regulate conflict. The course also teaches couples about child development, helps them learn how to co-parent with their partner and discover ways to keep both parents involved. The program teaches sensitive and responsive parenting and promotes the development, social, cognitive and physical development. Also BBH encourages early parent-infant dialogue, which according to research on academic success, serves as the foundation for childhood literacy. The course is delivered by certified Gottman Trainer though the Sea to Sky Corridor several times per year and is funded by the Sea to Sky Putting Children First ECD initiative. Operating in Squamish and Pemberton for fifteen years, the CCRR program has provided support and resources to many families and child care providers in the Sea to Sky Corridor. Referrals – the CCRR operated a referral database to connect parents with care providers that are either registered or licensed. Library – toys, themed boxes, equipment and books that are available for loan. Network Meetings– A great opportunity for child care providers to meet and talk about a variety of child care related topics. Workshops – Always interesting. Workshops are interactive and cover topics such as challenging behaviors, storytelling, crafts and more. The Act requires that anyone who has reason to believe that a child may be abused, neglected or is for any other reason in need of protection, report it to the Director or delegated social worker. The focus of C&YMH is to provide counseling, assessment and therapy services for infants, children and youth from birth to 19 years with a significant emotional or behavioral problem to reduce the impact of mental illness and improve overall functioning for the individual and family. Services are free and covered through the Medical Services Plan. For emergencies, please contact your local emergency department or family doctors or call this toll-free number for the crisis centre 1-866-661-3311. The BC Mental Health Resource Guide is online at http://www.mheccu.ubc.ca. The dental hygienist provides preventative oriented community dental services focused on children 0 -5 years. Information is provided to parents on early childhood decay. The dental hygienist is available for all communities along the Sea to Sky Corridor for consultation and information. Kindergarten dental screening is offered in all classes throughout the year school. : It truly takes a village to raise a child in care. Foster parents for children of all ages, short term or long term are always needed. Please call 604-892-1413 for more information, or search fosterconnections.ca. Transportation service for persons who have a disability. The Healthy Outreach Program supports women in maintaining good health and having healthy babies. The program offers weekly drop in with speakers or discussion and a free lunch, a weekly cooking club and lifestyle and nutritional counseling and support. The program also helps you to find out about other Community programs such as prenatal education, breastfeeding support, parent-tot drop in, clothing exchange and the lending library. The Infant Development Program is a home based family directed early intervention service for children 0-3 years. The Infant Development Consultants are trained professionals who visit on a regular basis and work with families to develop a program of activities to encourage the development of physical, social and cognitive skills. 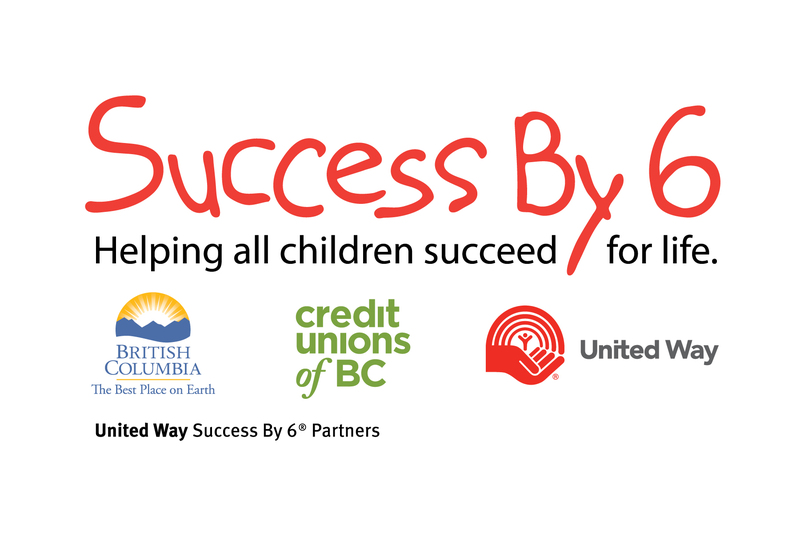 In the Sky to Sky Corridor, the Infant Development Program is sponsored by Sea to Sky Community Services Society. Referrals can come from any source such as: parents, physicians, public health nurses, therapists, social workers, child care providers. Families must want the referral made. Participation in the Infant Development Program is voluntary and all services are provided FREE OF CHARGE. In British Columbia, there are two basic child care categories: licensed and license not required (LNR), also known as informal child care. Families should also be aware that LNR’s can be registered with Child Care Resource and Referral. Registration requires that LNR’s meet specific registration requirements, such as current first aid certification, criminal record check and home assessment for safety and developmental appropriateness. For information regarding Registered LNR’s, please contact your CCRR office, 604-815-4144. Most LNR child care arrangements include the caregiver’s own children and one or two children not related to the caregiver. LNR caregivers may or may not have had formal child care training or previous child care experience. Caregivers set their own hours of operation, fee schedule and operating policies. Parents are solely responsible for supervising and monitoring the quality of care in license-not-required settings. ***Only Registered LNR’s are listed with CCRR. A Licensed Family child care program operates in the caregivers’ home and provides daycare services for children 0-12 years. A Family child care provider can provide care to a maximum of 7 children at one time (their own children are included in that ratio) and has specific training in the field of early childhood. A Licensed Group Child Care program operates in a licensed facility and provides daycare services for children 0- school-age. Programs may offer full day and half day options, depending upon availability. In a licensed group setting for children 3-5 years, the ratio for adults to children is 1 adult/8children. The ratio of adults to children for birth – 18 months is 1 adult/r children. The ration of adults to children for 18 months -3years is 1 adult/4 children. Teachers are trained in the field of Early Childhood Education and Care and will also have training in Infant and Toddler Care if working with the young children. Many programs will also have early child educators with special training in working with children with Special Needs. Full day and half day programs offer developmentally appropriate programming to ensure that your child’s individual and developmental needs are met.